A court in Krasnodar, Southern Russia, has sentenced Givi Kutateladze, a son of former Georgian State Security Minister Vakhtang Kutateladze, to three years in prison for illegal border crossing. ­Russian news agencies reported that he had illegally entered Russia from the state of Abkhazia together with another man, Aleksander Vepkhavadze, also a Georgian citizen. 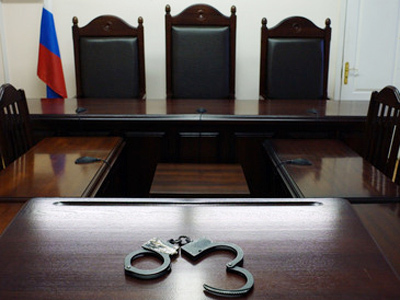 Vepkhavadze was sentenced to two years and six months in a penal colony in the same case. .
Kutateladze’s defense lawyer has said that his client had earlier applied for political asylum in Russia. The lawyer did not rule out the possibility that the sentence would be appealed, but said that if it happens it will be done by another lawyer. A court in the Georgian capital Tbilisi had earlier sentenced both men to lengthy prison terms for resisting detention and threatening police officers with violence. The sentence was passed in absentia. Both Kutateladze and Vepkhavadze have said that the Georgian authorities fabricated the case for political reasons. Russian investigators claim that the convicts were first hiding in Georgia, then in Abkhazia and after that moved to Russia without an official permit. According to Georgian media, the country's Internal Ministry has said that it would demand Kutateladze's extradition from Russia, but it did not happen.